Imagine five miles of beach right in front of your Maui vacation rental! Staying at Sugar Beach Resort means making that a reality. Sugar Beach Resort fronts a long white sand beach called Sugar Beach which is perfect for long walks, sunsets, and fun in the sun. Our guests return happily year after year for their Hawaiian vacations to this wonderful oasis. Wake up with the crashing waves and fall asleep to their lull at this fabulous Maui condominium resort hotel. Central location, world-class amenities, and considerate vacation condos will provide you with an unforgettable Maui experience! The complex is made up of two buildings with a saline pool and barbecue area in between them. The saline pool is sure to refresh you after a hot Maui day on the beach. The barbecue area is complete with tables, so you can enjoy outdoor dining with a beachfront view! There is also a whirlpool spa, wading pool, and sauna for your use. A spacious sundeck with comfortable lounges and a putting green round out the area in between the two buildings. The sundeck is the perfect place to sit back, relax, and catch up on some good reading or listen to music. Sugar Beach Resort Maui has all the conveniences you need for a great vacation including an on-site gift shop and activities concierge. One and two bedroom condos are furnished with tropical accents enhancing the Hawaiian experience for you. A full kitchen is included and ready for you to make wonderful Maui meals. Your condo at Sugar Beach Resort will be the ultimate beachfront home away from home in Hawaii. At Sugar Beach Resort, you can truly feel the magic of Maui surround you. 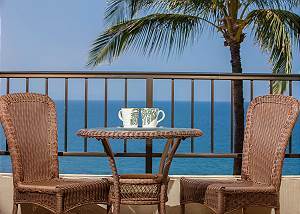 Situated at the north end of Kihei, this hotel condominium is close to both activities and dining at Maalaea and bustling Kihei town with shopping and restaurants. 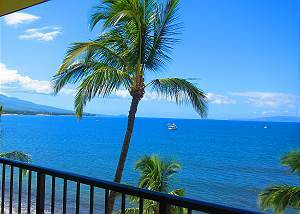 Sugar Beach Resort's central location, tranquil property, thoughtful property features, and comfortable condo units make it a great choice for Maui vacation accommodations. Book Sugar Beach Resort today! Commencing in 2018 and every year thereafter the deck and pool will be closed beginning the second Monday in September for one week for routine maintenance.